On a crisp still morning the river was like glass. 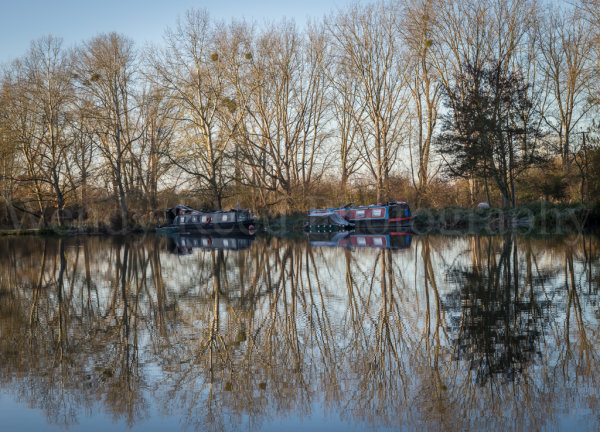 The air was incredibly clear and there was no wind so the reflections were beautiful just upstream from Sonning lock. This is a glorious stretch of the river where it sweeps round two large bends wooded on both sides before it opens up to fields just before Reading comes into view. © Wendy Reed Photography. All rights reserved.